Ranked among the best in guest satisfaction, the award-winning Austin Marriott North hotel defines superior service and amenities. 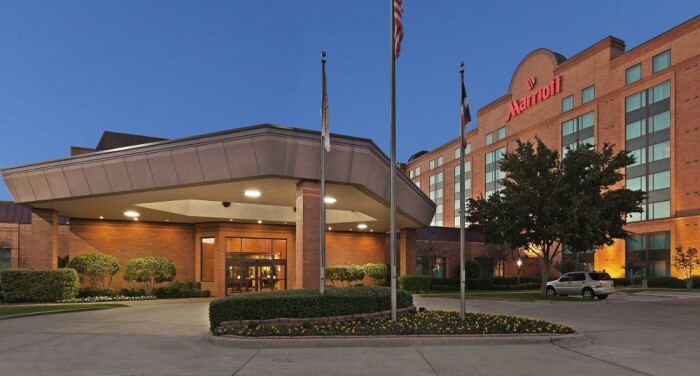 The only full-service hotel in greater Austin area, we are located near Austin, TX directly across from Emerson Process Management are two minutes from Dell Worldwide headquarters. Our quiet, neighborhood location in La Frontera E-Commerce Park is also near Hewlett Packard, Samsung and IBM and is pedestrian-friendly, with several nearby parks, trails, shops, and restaurants. At the center of our hotel is the Marriott Greatroom; flexible seating and spaces with a contemporary style and design, a coffee bar proudly serving Starbucks® coffee, and a chef-crafted menu of small plates and pours. Guest rooms feature ultra comfortable bedding, flat screen LCD HDTVs, and ergonomic work spaces. For your important meeting or special occasion, our state-of-the-art event facilities, custom catering and certified wedding planner are perfect for a flawless event. There is FREE parking surrounding the hotel for guests and attendees.